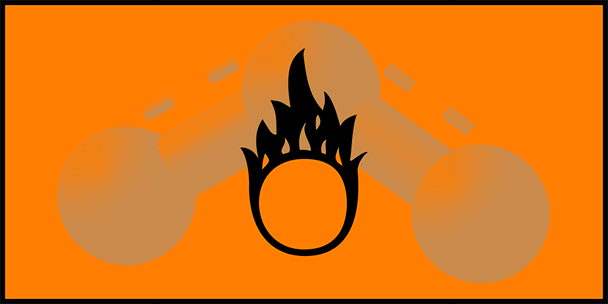 What Do You Want Your Purifier to Do? In the United States, it has been estimated that one in five people suffer from allergies and asthma. Some allergy sufferers are able to keep their symptoms in check by avoiding certain foods, staying away from cats or generally just avoiding the environmental triggers of their symptoms; but others face the offending substances that bring on their symptoms every time they breathe. You can stop eating peanuts, but you can’t stop breathing. If airborne allergens cause you problems, your first line of defense is to buy an air purifier for your home. An air purifier will improve the air quality in your home by reducing the number of allergens floating around in the air you breathe. By reducing these airborne allergens, you take a great step in minimizing your allergy or asthma symptoms. There are plenty of other precautions you can take, but an air purification system can make a significant difference in how severe and how often you experience allergy symptoms. There are many types of air purifiers available for you, but for the purpose of helping you find the best unit for your home, we are only going to focus on the four best air purifiers available to consumers today. Each of the following types utilize different technologies to achieve cleaner air within your home or office. Additionally, it’s not uncommon to find air purifiers that use two or more of the filtration technologies listed below. We would encourage you to seek out these air purifiers, as they will help you cleanse more of the pollutants from the air. High Efficiency Particulate Air (HEPA) filters are one of the most popular — and efficient — options you’ll come across. Manufacturers can only sell their filters under the HEPA label if they are tested and meet government requirements to remove 99.7% of the particles 0.3 microns or larger from the air. Not only does this make them one of the most efficient filters, they are also extremely reliable at cleansing the air of the most common pollutants, including mold spores, pollen, dust, pet dander and bacteria. The downside, however, is that since particles are the main focus for HEPA filtration, they’re not as useful for removing odors, chemicals, or gases from the air. This is one of the reasons why you may see HEPA filters being used alongside other filtration technologies. Powerful & Efficient. Guaranteed to remove 99.97% of particulates 0.3 microns or larger. Designed so no particles are returned to air after filtration. No harmful byproducts or chemicals are produced with their use. Used filters will need to be replaced or washed off periodically. Aren’t very useful for odors, gases, and chemicals. A big selling point of ionic air purifiers (sometimes called air ionizers or filterless air purifiers) is that you don’t ever have to worry about changing out the filter. Not only does this save on long-term costs of using the machine, it also means there’s one less thing you have to remember to do. This type of air purifier works by emitting negative ions that attract and bond with positive ions (that would include all your particles) so that they’re too heavy to remain in the air and fall to the floor. Which brings us to the downside in ionic air purifiers — they don’t remove the particles from the room entirely, so without further action on your part they may make their way back into the air again. Ionic air purifiers include a metal plate that will end up collecting some of the particles and can easily be cleaned so you get rid of a portion of the particles for good. Unfortunately, they also emit ozone, which can produce its own health risks and is considered bad for your indoor environment. Purifies ultra-fine particles, as well as bacteria, viruses, and smoke. 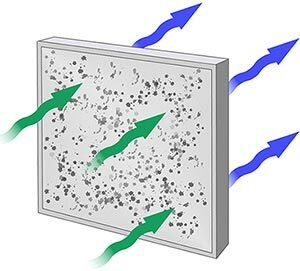 Particles remain in room, making ionizers less effective than other types of air purification systems. Metal plates need to be cleaned regularly. Generates ozone, which can lead to many other health problems. UV technology isn’t the best for removing particles from the air, but it’s a powerful choice for getting rid of germs. The UV lamp emits rays that kill microorganisms as they move past it. If your main goal is purifying your air of bacteria and viruses, this type of air purifier is a smart choice. UV light air purifiers do have lamps that will need to be replaced from time to time, and it’s possible for them to emit a bit of ozone, although many models are designed to minimize the amount of ozone produced. It’s also important to note that UV technology is often used in conjunction with other types of filters. Great at getting rid of germs, including bacteria and viruses. Don’t filter particles (although often used with filters that do). Emits ozone, which can lead to many other health problems. Lamp will need to be replaced every so often. Air purifiers with activated carbon filters are your best option for getting rid of odors and gases. The carbon absorbs and thus neutralizes smoke, fumes, and chemicals in your air. Carbon is extremely porous, which means that the filters can absorb a huge amount of contaminants before getting full. Like the UV technology, activated carbon is often used along with a filtration technology that captures particles as well. In fact, air purifiers with both a HEPA filter and an activated carbon filter are often considered the most efficient models out there. Great at removing odors and gases. Doesn’t remove particles or germs. What Are You Using Your Air Purifier For? As you can see, a big part of figuring out which type air purifier is best for you is determining what you most need to get rid of. 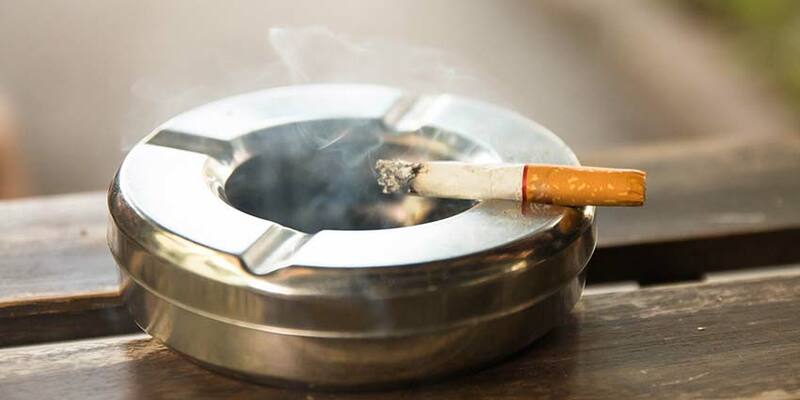 If cigarette smoke is an issue in your home, you’ll definitely want to get an air purifier that has an activated carbon filter. Whereas, if pollen or pet dander is an issue for you or a common cause of allergy symptoms, you will want to get an air purifier with a HEPA filter. You should have an idea before you start your search just which of the items on this list it’s important to you to remove from your air. Based on that, you can choose the air purifier that best accomplishes your needs. Most consumers will want to find an air purifier that combines a couple of the technologies in order to accomplish more. There are many air purifiers out there that utilize multiple filters. When buying an air purifier, you should seek these out as you will get more for your money than buying an air purifier that uses just one type of filter. In addition to determining exactly what you want your air purifier to do, there are a number of other factors that are important to consider when shopping for an air purifier for your home or office. You can find portable air purifiers that are meant to clean the air in a relatively small space (but make it easy for you to move it from room to room as needed), room air purifiers that are designed to clean the space of an entire room, and whole-house air purifiers that will tackle the task of cleaning the air in your entire house. As you would expect, the larger models will cost you more, but if they work effectively they’ll make a bigger difference in the air quality in your living space. Consider how much time you spend in certain spaces within your home. There may be rooms you spend little enough time in that adding an air purifier to the space won’t make much difference. For many people, having one close to the bed will be the most beneficial place to be sure you have covered, but any other room where you spend a lot of time could be useful to purify as well. You can find many air purifiers that cost less than $100, as well as larger, more powerful models that cost well over $1,000. The smaller, more affordable air purifiers may suffice for those whose needs are minimal and who only desire to purify a relatively small space, but if your allergies are especially bad or you’re hoping to purify a large area, you may be better off splurging on a more costly model. As mentioned, a higher cost will often translate to having a greater amount of space purified. A higher cost also translates to benefits like models that are more effective, mix more technology types to do more, and offer special features like programming options or an air quality indicator. You should also keep ongoing costs in mind. Some air purifiers will require you to buy replacement filters every so often and some models will come with higher energy costs than others. As with most purchases, you have to weigh your budget against the degree of your need and the quality you hope to get from your air purifier. To determine how effective you can count on an air purifier to be, you should consider its Air Changes Per Hour (ACH) and its Clean Air Delivery Rate (CADR). ACH is the measure of how often the purifier will purify the air in the room each hour. Those who suffer from asthma or allergies should aim for a model that offers at least four ACH. CADR measures how quickly particles are filtered and in what quantities. Anything over 350 is usually considered a strong CADR. The Association of Home Appliance Manufacturers certifies air purifiers based on their CADR to ensure models will work effectively for the room size advertised. You can check their directory before making a purchase to ensure that the air purifier you’re considering passes muster for the space you have in mind. Each of the different types of air purifiers requires some maintenance. The filters in HEPA purifiers will need to be periodically cleaned, and occasionally replaced. Ionic purifiers have metal plates that need to be cleaned fairly often. UV light air purifiers have lamps that will need to be replaced when they’re out. On the whole, the maintenance required by air purifiers is fairly minimal, but it’s still something you will need to consider when shopping around. If you consider tasks like changing out a filter an annoyance to deal with, you may want to choose a model that uses a filter with a long-life, or one of the types of air purifiers with lower maintenance needs. Like most appliances you find in your home, air purifiers will generate some noise. The overall amount of noise created will vary from model to model, but it is something that should be considered during the buying process. Since many air purifiers end up in the bedroom, the decibel level of your unit can be a serious concern for some consumers. Quieter models will be quick to note it in their marketing, however it is recommended to read a model’s reviews to help shed some light into whether other customers find them especially loud or not. On the whole, air purifiers don’t use all that much energy, but you can find some models that use less than others. 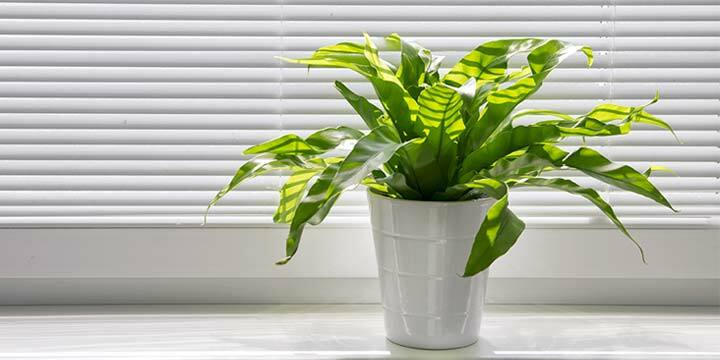 Look for Energy Star rated air purifiers if energy use is an important concern for you. You can also reduce the energy costs of HEPA models by keeping your filters clean and up to date. Some models come with extra features that can add to their ease of use and make them more attractive to consumers. If you don’t actually want to get out of bed to turn your purifier on and off or change the setting, a remote control can be a valuable added feature. It can be hard to remember to turn off your HEPA filter during the times of day you won’t be around. A programmable timer can help you save on energy costs, so that your purifier will automatically kick in during the hours you’re usually home, and turn off during the times you’re out. Remembering to replace the filter can be an even bigger challenge, since most HEPA purifiers can go a long time before needing a change. A service indicator light gives you a head’s up when the time has come to deal with it. Some models will measure the air quality in a room and raise or decrease the speed they’re working at based on the reading. Narrowing down your options by type and preferences will go a long way in helping you figure out what model to go with, but one last factor you should consider is the reputation of the brand you choose. To get a picture of the reputations some of the top air purifier brands have amongst customers, we looked at customer reviews of different models they produce. AirFree makes portable filterless air purifiers that get decent reviews from customers. Most customers say their models are lightweight, quiet, and work effectively. Their air purifiers are best for mold, bacteria, and viruses, but not as useful for asthma sufferers. Those with mold allergies in particular rave about the effectiveness of their purifiers. If mold is the main contaminant you want to tackle, these will do the trick. AllerAir makes air purifiers with HEPA filters and often activated carbon as well. The reviews are largely positive, most reviewers find their purifiers to be powerful enough that they start feeling the difference quickly. Several of the reviewers specifically mention how effective their AllerAir purifiers are for pet allergies (and pet odors). Amaircare sells portable HEPA purifiers that get great reviews from customers. Several customers mention how useful their purifiers are for getting rid of odors and others talked about how powerful they are for allergies. We encountered a couple of complaints about the noise they make in the mix, but other than that the takeaway for Amaircare purifiers is that they’re reliable and effective. Austin Air has a great reputation with customers. The vast majority of the reviews we found were positive. They make a number of different room purifiers that get consistently positive reviews from customers. Several said their purifiers worked for a large space –even the whole house –and a few mentioned that they were good at eliminating odors and chemicals in the air. They’re easy to use, maintenance is minimal, and most mentions of customer service in the reviews described good experiences. BlueAir sells HEPA air purifiers designed to be especially quiet in comparison to other brands. Reviews of their purifiers are almost uniformly positive and customers confirm that the products meet the standard of quiet promised in the marketing claims. They’re also praised for their effectiveness – many reviewers say they could feel results within hours for allergies, mold, pet odors, and asthma. Coway makes energy efficient portable HEPA air purifiers that are popular with allergy sufferers. Reviewers mention that they eliminate stuffiness, alleviate the effects of pollution, and do it all while emitting very little noise. They also get points for their easy maintenance and sleek designs. Most of their models have air quality monitors that automatically adjust settings based on the level of need in the room, which adds some nice convenience as well. Crane makes air purifiers that use UV and electrostatic technology. Their models for kids, which are designed to resemble penguins, sharks, and frogs, are especially popular and get solid reviews from users. Reviewers praise the purifiers for being effective ¬– especially for the size and price – and being reasonably quiet so their child can still sleep. 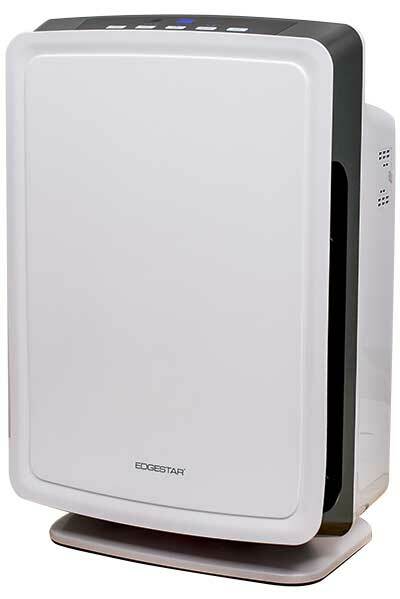 EdgeStar is a relatively new player when it comes to air purifiers. However, their debut product has garnered solid reviews from hundreds of customers. 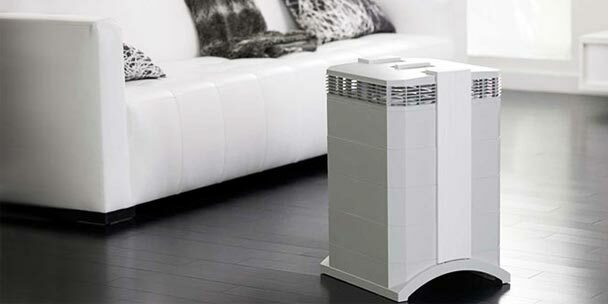 In fact, we’ve even reviewed a unit and called it “the best air purifer on the market“. With an innovative 4-stage filtration system and a large coverage area, EdgeStar has single-handily changed the air purifier market and has positioned themselves into being one of the most reputable brands available. 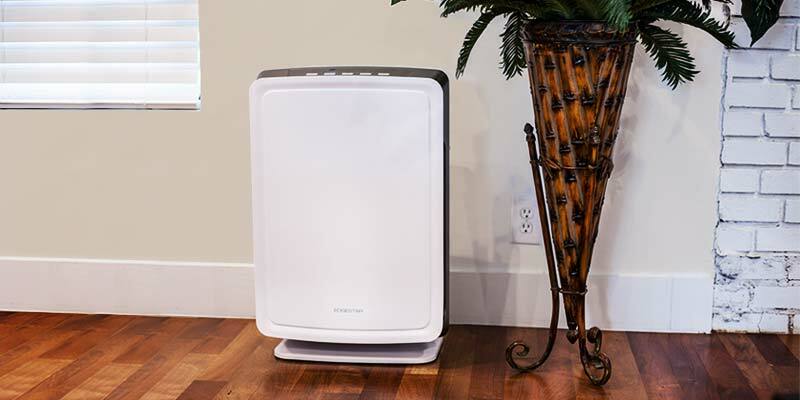 Germ Guardian sells affordable room air purifiers that use multiple purifying technologies, including HEPA filters. They get great reviews for how effective their purifiers are for minimizing allergy symptoms and many reviewers specifically mention how helpful they are in homes with smokers and pets. They also get points for being quiet. Holmes makes affordable HEPA air purifiers that receive mixed reviews, but more positive than negative on the whole. Reviewers say their purifiers are good for clearing up allergies and eliminating odors, but we saw a common complaint that their purifiers are loud. Honeywell is a familiar name in appliances with a range of air purifiers that get mixed reviews that lean more toward the positive. The main complaint we encountered was that some units are noisy (but we saw other reviews praising units for being quiet as well). Other than the occasional noise complaint, reviewers mostly find their Honeywell purifiers pretty effective. IQAir sells high-end air purifiers that cover a lot of space and are especially powerful. For allergy sufferers who want a powerful solution and have some money to spend, IQAir’s models have a reputation for being some of the most effective air purifiers around. Mammoth Air offers nice, classic looking ionic purifiers that get solid reviews from customers. Reviews speak to how effective the models are, particularly for allergies, pets, and odors, and praise the value for the cost. Many also comment on how much they like the look of the air purifiers, most of which have a classic wood design that would add a nice touch to many rooms. Rabbit Air makes stylish air purifiers that get great reviews from customers. Most of them come with a filter designed for a specific purpose (pet, odor, or germs, for example). 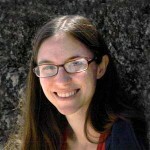 Reviewers praise their models for being attractive, quiet, and functional for the different uses they’re put to. We saw a lot of 5-star reviews for Rabbit Air purifiers and almost no complaints. Virus Zero sells a portable ionic air purifier that has mixed reviews that lean more toward positive than negative. They’re designed for small spaces – like cars or desk areas – so don’t make sense for consumers hoping to purify a whole room. If you want a unit that purifies a smaller space though, they may be a good choice. You have a lot of strong brands and options to choose from in your search. The most important things to consider are your particular needs – what allergies or pollutants you want to clear out – the space you want purified, and how much you’re willing to spend. With the right air purifier, you’ll be breathing easy in your own home again in no time. Truly interesting and a bonus to those with allergies and for untoward contaminated pure air.